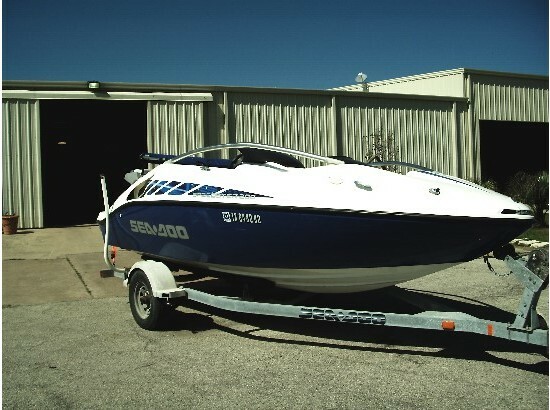 Wake edition boat in excellent condition. Has about 250hrs on it but no meter so not guaranteed. 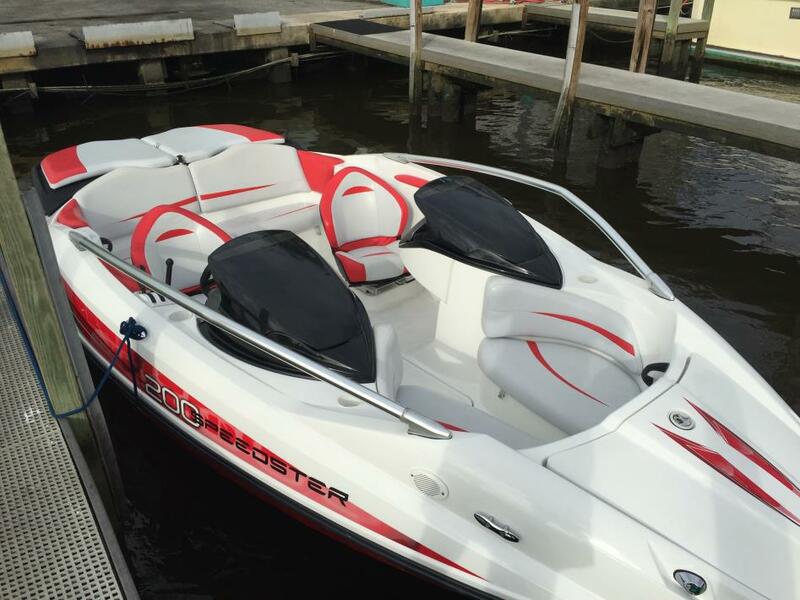 This boat is great for the family as well as some serious fun on the lake. Gets up and goes straight out of the water. Tuned up in 2016 and ready for the water in 2017. Call 425-522-3220 for info Local pickup only or ship at buyers expense and arrangement. 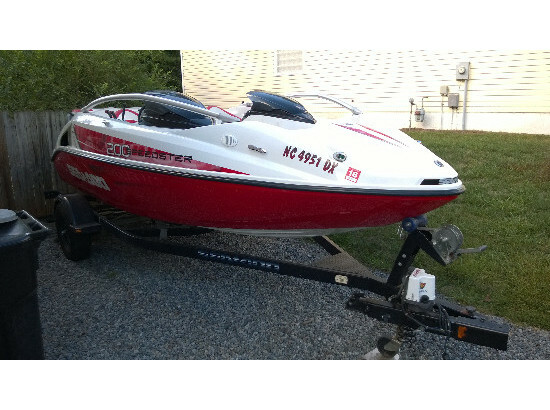 2005 Sea-Doo Sport Boats Speedster 200, This Sea Doo Jet boat Is in near perfect condition. This boat is powered by twin Vortex 185 HP super charged engines. This boat will fly. Fun little day boat. Come check it out! 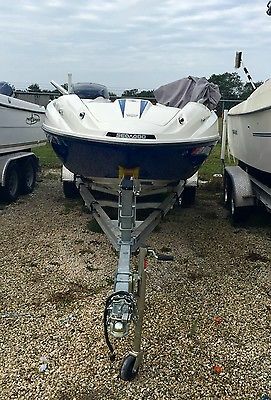 2009 Sea Doo speedster 200, Sea Doo Speedster 200 but not the floor model! This girl can Fly!! !Superchargers and inter-coolers installed on both motors by the dealer. Full J/L Audio Sound system with Subwoofers, man does this thing get loud and bump. 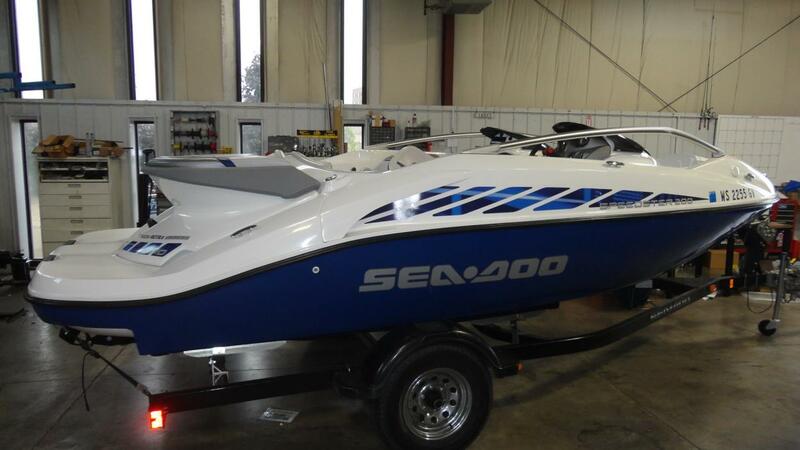 If your looking for speed, if your looking for excitment, if your looking for sound, this is your boat. Call me! Phone number is old and boat trader will not allow me to change it. please use email to get my number. 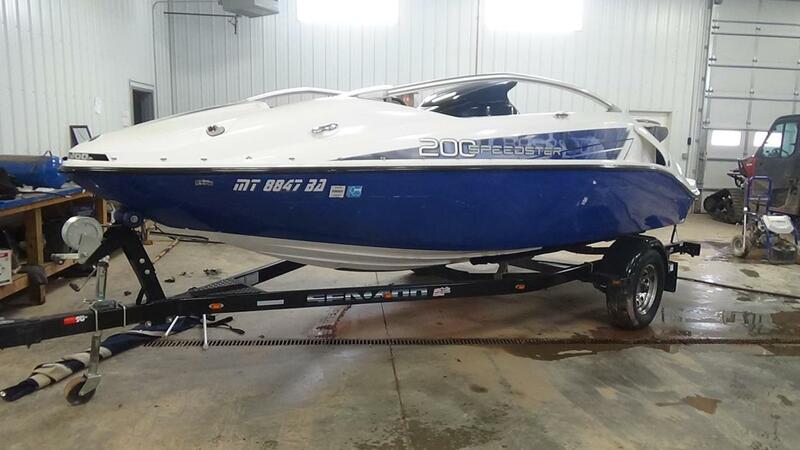 2008 Sea Doo Speedster 200, 2008 Sea-Doo Speedster 200 w/ Wake Tower in EXCELLENT conditionIncludes trailer, with surge brakes in EXCELLENT condition :: Color: Mazatlan BlueTwin supercharged Rotax Sea-Doo jet engines -- 215 x 2 = 430 Horsepower. Approx. 70-75 hrsSuperchargers were rebuilt around 50 hrsNew sparkplugs where just installed :: Cover is less than a year oldIncludes: life jackets, lines, buoys, anchor, tube, tubing rope, and air pumpWeight including trailer: approx. 3500-3700 lbsDoes have a dime-sized chip in fiberglass on the back left lip and also a scratch thru the Speedster decal on the left side, both were present when I purchased the boat :: I'm the 3rd owner, owned it for 2 years. 1st owner used it at the Lake of the Ozarks as a sunset cruiser and babied it. 2nd owner had it for around a year and a half and used it 4-5 times total at smaller mid-MO lakes. All maintenance done by the local Sea-Doo dealers. Winterized each season. :: No prop = super safe for swimmers and kidsNo prop = capable of use in shallow water (12 inch draft)Will easily do 55-60 mph with 5-7 people, hit 60-65 with only 2 on board :: The 200 Speedster. Its name certainly doesn't hide the fact that it was designed for those who prefer to unwind with a few butterflies in their stomach. Powered by a 430 hp twin Rotax engine that'll have you and six adrenaline-starved friends screaming with delight. Couple that with aggressive handling and you have a boating experience where every turn is a story for the water cooler. Perfect for people who prefer hanging on to hanging out. 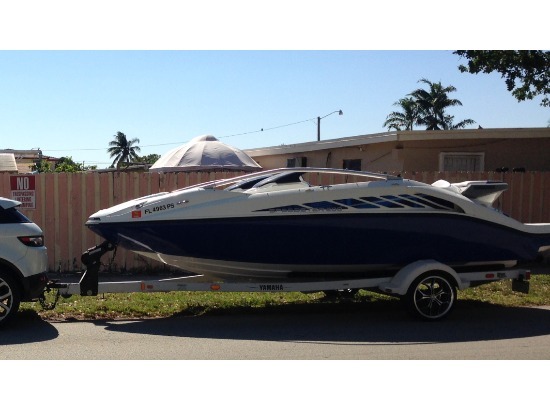 2007 Sea Doo SPEEDSTER 200 430 HP SUPERCHARGED. Twin 215 horsepower engines with less than 160 hours. Used in freshwater only. Always pulled from water after every use, never stored in water. 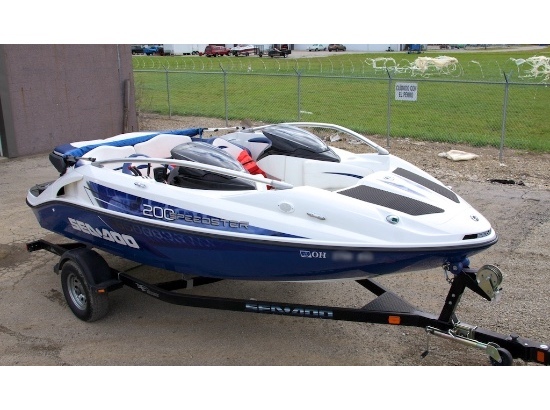 430 horsepower for tubing with two tubes or pulling multiple skiers or boarders up fast with little effort. Canvas Bimini top, snap in removable carpet ($1000 option), cup holders all around, four hull mounted speakers AM/FM/CD sound system, depth gauge, deck lighting, fore and aft lighting, ample storage space for all the water toys and more. Original seats are in good condition with no punctures or cuts. Some mildew staining from being covered over the winter months. Hull and gel coat are in good condition with some dock scratches. Engines are in very good condition. Engine oil and filters changed at the end of every season using only Sea-Doo XPS oil. Carpet slightly sun faded in spots, but still in very good shape. Includes Sea-Doo heavy duty Karavan painted steel trailer with folding tongue for easy storage ($2500 option), chrome rims, heavy duty buddy bearings, BrakeRite Titan dual disk electric over hydraulic braking system for proportional braking control ($1200 option), and tires with lots of tread life left. 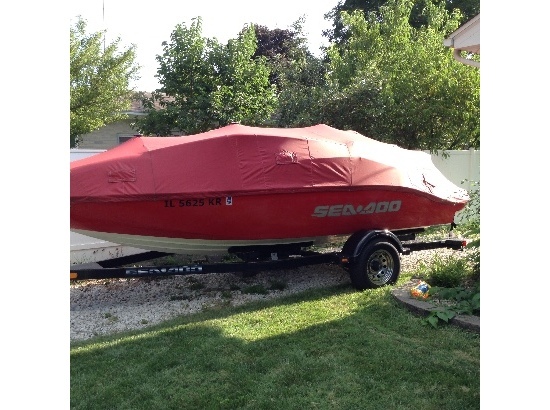 Boat cover, Accessories and toys include Arsenal wake board, XPS knee board, 2 large 2 person XPS tubes (almost new), tube inflator, 2 skis, 2 anchors with line, 4 ski ropes, mooring lines, 6 life vests, dock bumpers, and more. Everything needed to head straight to the lake! 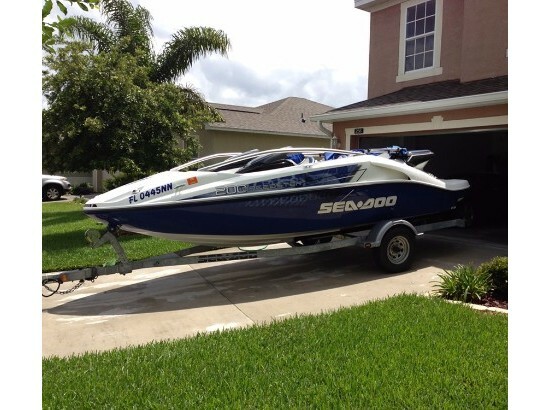 This boat and trailer are priced below market value at $14500! 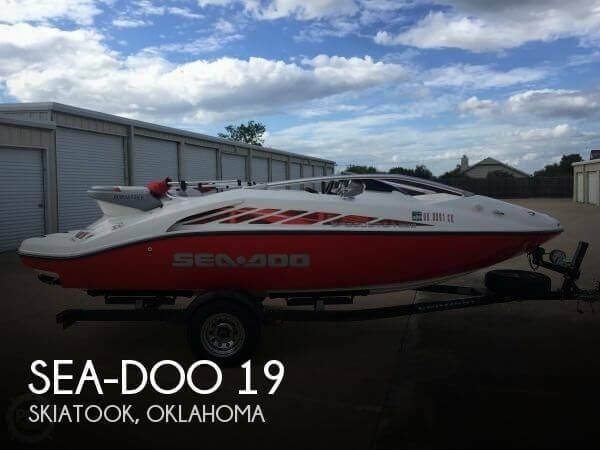 2004 SEA DOO SPEEDSTER 200 310HP - LOW HOURS This boat is in great shape with normal wear and tear for the year of the boat . The boat runs great and is a lot of fun to use . Hardly been used with 98 HOURS on both motors . Comes with 2015 MAGIC TILT ALUMINUM TRAILER worth $1800 .The only thing that doesn't work is the SPEEDOMETER but comes with a GARMIN 546S GPS WORTH $600. ( The GPS also tells the speed that you are going ) Has a radio and CD player and only 2 speakers work . New BATTERY just put in .Clean Title. Just one back seat has a slight tear as shown on the photo and also in the photos you can see some scratches on the gelcoat and front of the boat has light scruffs . The boat is very clean but has light oxidation at the side of the boat as seen in the pics .The boat is sold as is. If you have any questions please do not hesitate to ask . You're welcome to view the boat before bidding ends . Boat is located in Tampa Fl . LOW HOUR, 2008 SEA DOO SPEEDSTER 200 , 430 SUPERCHARGED HORSEPOWER , TWIN 215 HP ROTAX ENGINES. OEM SEADOO WAKE TOWER. BIMINI TOP. 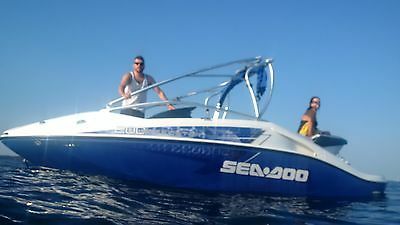 KARAVAN SEADOO TRAILER, Excellent condition, 7 Person capacity , Lots of under seat storage. More power than anyone could need, this boat is a rocket on the water. Turns on a dime, 0-55 MPH in no time . 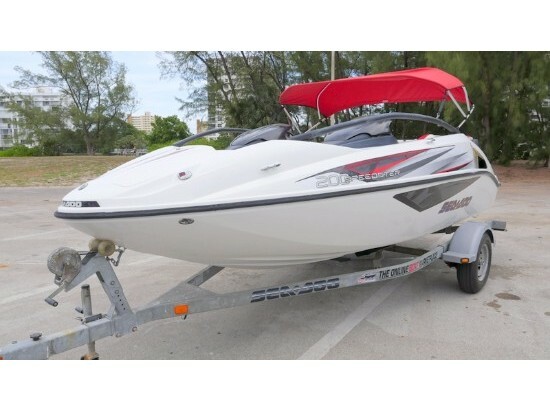 Includes OEM Bimini Top in excellent condition, OEM Sea Doo Foldable Wake Tower. OEM Sea Doo Speedster Cover ( has a couple small tears in cover ) , Includes AM FM Stereo with CD player and Auxillary port, 4 speakers for great on the water sound. OEM Karavan SeaDoo Trailer in excellent condition with less the 1000 Miles on it. 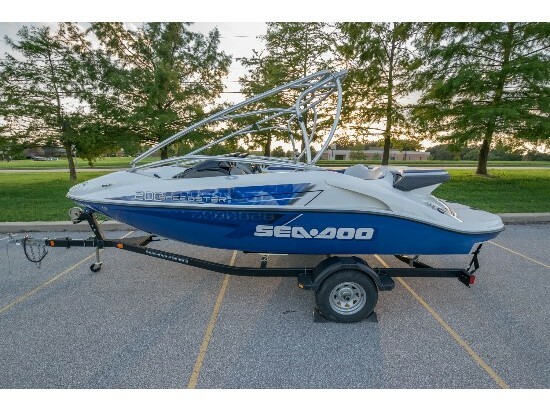 Mechanically the boat is perfect, everything works as it should from the factory, Both superchargers were rebuilt less than 15 hours ago, (as per Seadoo maintenance) , Boat has approx 90-100 hrs on it. This is my personal boat which has been well cared for and always maintained as per SeaDoo maintenance requirements . Fresh water use only, never abused, store in covered dry dock when not in use, and in heated indoor storage during winter months. Boat was washed after every time it was used. . This boat is in near perfect condition for its age. inside and out , this is one of the cleanest 2008 Speedster 200 you will ever see. No serious scratches anywhere on the hull, no cracks, interior is as close to mint as you can get, seats are clean and rip free. Grey Hydro Turf floor mats help keep you feet on the floor when driving this machine 55 MPH ++ . BOAT IS LOCATED IN HAMILTON, ONTARIO, CANADA. I can assist with shipping / delivery however buyer is responsible for associated costs . Call Text me at (905) 512 0805 to discuss anything about this sale at anytime 24/7 . or Ebay message me.